Malvern will be at AAPS! The Malvern team will make it to San Antonio, TX for the 2013 AAPS Annual Meeting and Exposition of the American Association of Pharmaceutical Scientists where discovery, development, and manufacture of pharmaceutical products is the key focus for most attendees. If you are an existing customer, come see us at booth #3145. 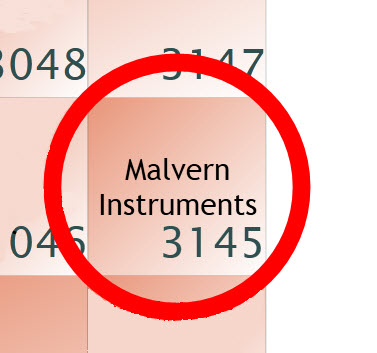 If you just want to stop by to find out what’s new at Malvern Instruments we would be very happy to welcome you also. We have some equipment on display, and dedicated specialists to discuss your pharmaceutical characterization challenges. For details on Malvern’s comprehensive range of analytical techniques for pharmaceuticals visit our website. Location: Henry B. Conzalez Convention Center, San Antonio, TX, about 10 miles south of the SAT airport. PS: We joined forces with NanoSight 6 weeks ago, thus the NTA nanoparticle tracking analysis systems are on display in booth2246.